This post will explain why photorealistic rendering in games is important and, paradoxically, why you shouldn’t care too much about it. Photorealism is the Bonsai Kitten of game development: everyone talks about it, but it has yet to be seen. Despite this, there’s an ongoing battle of wits between game engines, ferociously fought with tech demos and last-minute announcements. Being able to render reality seems to be the priority. But… does it really matter? Real time photorealism in games is not yet feasible. Yet, high budget movies rely on effects which cannot be told apart from reality. There are two lessons we can learn from this. Realism is not magically achieved by flagging a check box in your game engine: it’s the combined effort of artists and programmers at the highest master of their expertise. The first one is that photorealism comes with a price. If you want your game to look real, you’ll probably need a budget which is beyond what most indies can afford. Realism is not magically achieved by flagging a check box in your game engine: it’s the combined effort of artists and programmers at the highest master of their expertise. 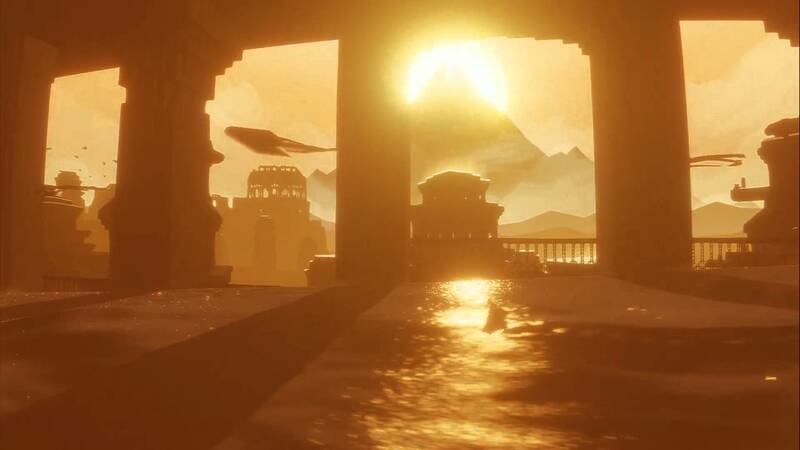 John Edwards has recently explained in his GDC talk the long journey it took to implement Journey‘s metonymic sand effect. Spoiler alert: it’s wasn’t easy. The bottom line is that you shouldn’t expect a game to look good, just because you’re using all of the latest features offered by Unity or Unreal. Physically based rendering indeed produce very realistic materials, but that is barely enough to create (and maintain) the illusion of photorealism. The second aspect we should learn from photorealistic movies is that visual effects are often used to overcompensate the lack of a proper story. Jurassic World, for instance, is poorly written, features gender-segregated dialogues and it intentionally perpetuates the idea that dinosaurs looked like lizards (where is very likely most of them had feathers and very vibrant colours). The movie has been a financial success, despite its content is mediocre at best. Don’t these two problems sound familiar? *cough* AAA *cough* Photorealism requires incredibly huge budgets and the best way to recoup on them is to make a game which appeals to the mass. This has led to a lack of variety both in high end games and movies. When you’re indie, choosing an engine according to how good it can render is like buying a Ferrari when you have no petrol. Get a bicycle instead and learn how to cycle fast, very fast. A big case for realism is that a realistic graphics makes for a realistic experience. From this point of view, it is undeniable that realism plays an important role in how we connect to characters in games. Facial expressions can transmit emotions faster than any word. However emoticons, which are on the opposite side of the realism spectrum, don’t need to look real to fulfil their purpose. There’e something deeper here: emoticons are so vague they allow people to project what they believe a facial expression is onto them. By being too realistic, you’re limiting the amount of imagination people can put into your game. This is obvious in games such as the ASCII dungeon Rogue: you can imagine battles the way you want it. In the latest Tomb Raider, instead, the excessive relying on graphics prevents you from imagining everything else but what’s on the screen. The only way to overcome this is by exaggerate the situations Lara is facing, so that some emotion will eventually leak. If photorealism is the only way you have to make your stories feel real, then chances are you’re not a very good story teller. Attribution of causality is a very well known phenomenon in Psychology based on the idea that Humans are able to project their emotions onto things. The following video shows a diagram made out of geometric shapes. When shown to people, a story emerges even if it’s obvious they are just triangles and circles. What has this to do with story telling? EVERYTHING: let’s be honest, the striking success of Thomas Was Alone strongly relies on the attribution of causality to coloured rectangles, so we must give it some credit. After all, if photorealism is the only way you have to make your stories feel real, then chances are you’re not a very good story teller. Should we give up on good graphics then? No. Photorealism is not the only way to make a game looks good. Quite the opposite, some of the most successful games were all but realistic. What’s more important is to build a coherent aesthetics which will always characterise your product. Monument Valley, for instance, has a beautiful and unique style which makes it recognisable among millions of other games. Quality over quantity, as Ken Wong explained at GDC. Just don’t make the mistake of assuming that low poly or pixel art are easy. Making good graphics is an art and must be respected. The difference is that when you’re creating your own style, people have nothing to compare it to. If you claim your game is photorealistic, it either is (and trust me, it won’t) or it will easily fall into the uncanny valley of 3D. People are incredibly good at recognising facials expressions, movements and falling objects. Unless you get all of these aspects exactly right, your realism is doomed. Knowing how hard this is, Maxim has never attempted to make sims in The Sims look real. They’ve gone for a more cartoony style which is very pleasant to see and it keeps far away from the uncanny valley. Despite the title, this post is not really a case against photorealism. 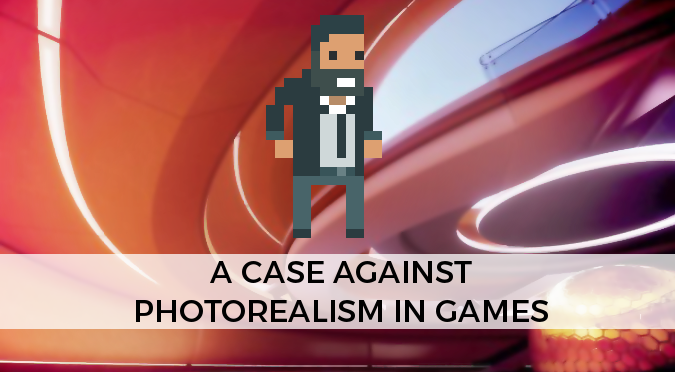 It is, instead, a case against the indiscriminate quest to achieve photorealism that many developers are pursuing. A game doesn’t need to look real, to feel good. And if it is true that you have to keep with the current state of the art rendering, aesthetic almost always wins over graphics. Making games is a very challenging task; if indie developers want to win the battle against AAA games, they should fight them on graphics because they’ll inevitably lose. We’re dangerously close to achieve photorealism in games and that’s why, now more then ever, is important to remember that art is not a quest for emulation. With the advent of photography, the need for realistic portraits suddenly dropped to zero. We’re dangerously close to achieve photorealism in games and that’s why, now more then ever, is important to remember that art is not a quest for emulation. The exact moment we could cheaply reproduce reality on photographic paper, has seen the birth of movements such as Abstractism and Expressionism. Achieving photorealism in pictures has, in essence, freed art from the need to replicate reality. After all, we’re living in a photorealistic world. Let’s make something different, for once! The future of video games visuals: a honest discussion about how photorealism is pushing the boundaries of what it means to be a game. I mainly view the pursuit of true photorealism in rendering as a technical crusade; many techniques that could push games further towards true photorealism are either too expensive cpu-wise to implement in a responsive environment, or not practical enough to design. Both of these cases are super-efficient algorithms waiting to happen. Screen space raster-based reflections would be a complete bombshell in the field, if we could only find a way to implement them without sacrificing frame rate to such a high degree. On the other end of the spectrum, ray-traced engines show incredible promise, however don’t have any hope for console support, and thus less usage, and thus less total potential for achieving anything close to the power level Unity and Unreal Engines have reached via more traditional methods. That being said, engines that utilize PowerVR raytracers like the Unity Mod from GDC 2014 or OTOY are incredibly promising, and if done right, could be the future for game engines.